The X6 made its debut in 2008 and after that BMW unveiled its revised version in 2012. 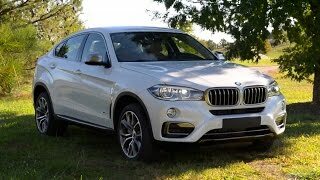 Since then competition gained lot of momentum and thus to compete with it company here present the second generation of lineup with the BMW X6 2015. It is expected to compete with Mercedes and Porsche Coupes in coming time but for now has gained many eyeballs with its designer looks and powerful engine. 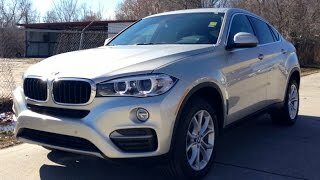 Let us have a look at the review of BMW X6 2015 to know it better. Looking at the interior of BMW X6 2015, the design language will bring the recently reviewed X5 back in your vision. The dashboard gets redesigned while the front seats get the touch of sportiness and the three spoke round steering wheel with metallic accents covers the updated instrument cluster. You’ll notice a 10.2 inch flat screen which works on iDrive operating system, introducing all the features to you. Steering wheel comes wrapped in leather with paddle shifter mounted behind it. Passengers in rear compartment too get comfortable seats with an armrest located in center providing lot of storage space. Rear seats can be folded and thus you can have more storage capacity till 53.9 instead of 20.5 cubic feet. In all the interior of BMW X6 2015 is gorgeous, innovative, comfortable and spacious when compared to its predecessors. 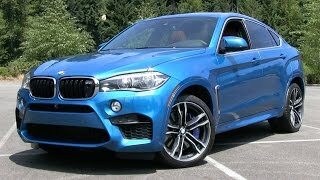 Exterior of BMW X6 2015 brings subtle changes for you. Starting with the front fascia you have a flatter and wider kidney grille sitting amidst the narrow headlights with little blunt edges. Bumper too gets bit of redesigning and now is housed with side air intakes and fog lamps making the entire front fascia of BMW X6 2015 look bit better than its predecessors. Moving towards the rear end of model you have new set of taillights marching their way into the trunk lid while the redesigned bumper spreads sporty touch across the back with a pair modified exhaust pipes sitting beneath this entire set up. 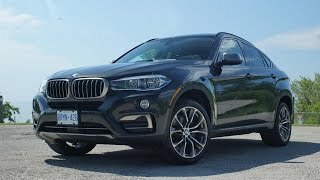 In all the exterior of BMW X6 2015 to us looked aggressive, stylish and sporty with its new redesigned elements and thus is expected to grab more attention in market. Though the performance figures of BMW X6 2015 are not yet shared but we do have the engine specifications of BMW X6 2015, which we’ll be sharing here. 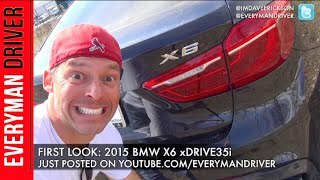 Starting with the xDrive50i which is powered by a 4.4 Liter V8 developing total output of 450 hp and peak torque of 650 nm while the second is xDrive35i powered by a 3.0 liter six-cylinder generating total output of 306 hp and peak torque of 406 nm. Both the engines come paired to eight-speed automatic transmission.